A new study has found that a 30% increase in antibiotic resistance could cause more than 6,000 deaths per year in the U.S. Antibiotics are commonly used to kill bacterial infections. However, when antibiotics are used often, resistant bacteria is more likely to develop and survive. These resistant bacteria can then spread and cause infections which are difficult to treat. 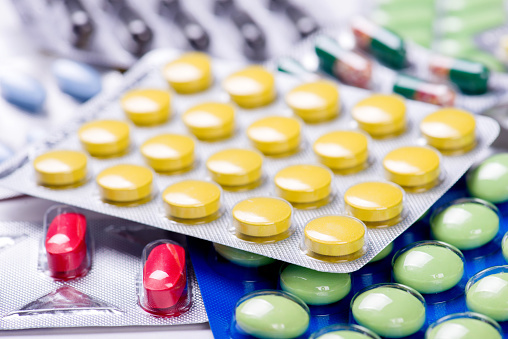 Approximately 50% of antibiotic prescriptions are believed to be unnecessary. Many physicians prescribe antibiotics for common colds that are not bacterial. As well, some countries allow patients to buy antibiotics over-the-counter. According to the recent report published in The Lancet, researchers estimate that antibiotic-resistant bacteria is involved in one out of every two infections following surgery and one out of four infections following chemotherapy. Bacterial infections can damage organs in the body and even cause death. They can be particularly problematic for surgery patients, as incisions in the skin can become infected. As well, chemotherapy patients have weakened immune systems, making them more likely to develop infections. In the study, researchers from the Center of Disease Dynamics, Economics and Policy estimate that if antibiotic resistance increased by 30%, there would be an additional 120,000 infections and 6,300 deaths every year in the U.S. Researchers reached this conclusion by analyzing previous studies and scientific reports. According to Laxminarayan, antibiotic resistance is already killing elderly patients in the U.S., as well as infants in third-world countries, where the standards of care are lower. Both infants and the elderly will always be at a higher risk of developing infections, due to their weaker immune systems. The study also found that certain surgeries would have more cases of infections, including colorectal surgery, caesarean sections, and hysterectomies. These additional infections and deaths all result from a 30% increase in antibiotic resistance. If that rose to 70%, the numbers of infections would more than double to 280,000 and deaths would rise to 15,000. The effects of antibiotic resistance are already being seen in hospitals, with certain bacterial infections increasing by over 2,000% since 1987. According to the U.S. Centers for Disease Control and Prevention, over 20,000 people already die from bacterial infections each year. If action isn’t taken to prevent further antibiotic resistance, these numbers will likely continue to increase. “Fears grow over increased antibiotic resistance,” BBC web site, October 16, 2015; http://www.bbc.com/news/health-34541253. Thompson, D., “Antibiotic Resistance May Threaten These Patients,” WebMD web site, October 15, 2015; http://www.webmd.com/news/20151015/antibiotic-resistance-could-threaten-surgery-chemo-patients. Beck, J., “How Antibiotic Resistance Could Make Common Surgeries More Dangerous,” The Atlantic web site; http://www.theatlantic.com/health/archive/2015/10/how-antibiotic-resistance-could-make-common-surgeries-more-dangerous/410782/, last accessed October 16, 2015.